You ever notice that kids are not afraid to speak the truth? They can see when something is unjust or unfair. They’re ready to root for the underdog unashamed. They seem to be able to recognize when something is wrong or when something is evil. They seem to have the gift of common sense and the idea that if something is not right, then why do we allow it to happen? We could learn so much from these amazing little people. The next couple blogs will be highlighting some of these kids who have decided to do something about the status quos they have encountered in their experiences. You can check out the first one in the video below. 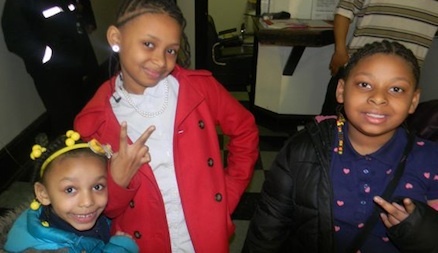 These 3 sisters decided that they didn’t like what a certain rap artist talked about, and so they wrote a song to him, imploring him to use his talents in more positive ways. They inspired me to “be a queen” and not settle for what labels society tries to put on me. Their voices cry out like modern-day prophets, reminding all women to be the sacred beautiful creatures we were meant to be. Check it out!